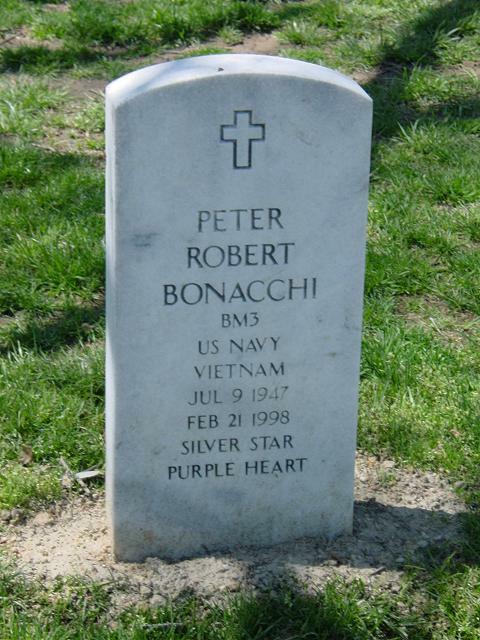 Pete Bonacchi served on a Tango Boat with River Assault Squadron 11, Task Force 117, during 1966-1967. He was seriously wounded and lost a leg during a B-40 rocket attack on the brown waters of the Mekong Delta out of Dong Tam. Pete died of cancer related to Agent Orange. He was well loved and well attended during his last days by his sister Barbara and many friends. Pete was buried with full military honors at Arlington National Cemetery on Thursday, 26 February. His family and friends paid tribute. 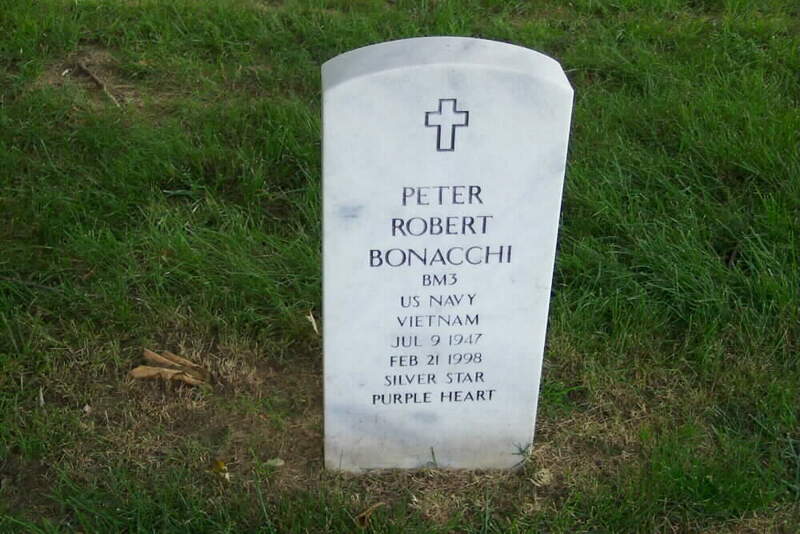 Peter Robert Bonacchi was born on 9 July 1947 and died on 21 February 1998. As you slowly passed away.